The CLEANLine Manual Sprayer 301-A is equipped with FKM seals for the use of acidic cleaning fluids within the pH-scale of 1-7 and also suitable for spray solutions containing oil or chlorinated hydrocarbons. It offers a capacity of 1.25 l and a max. spray pressure of 3 bar. 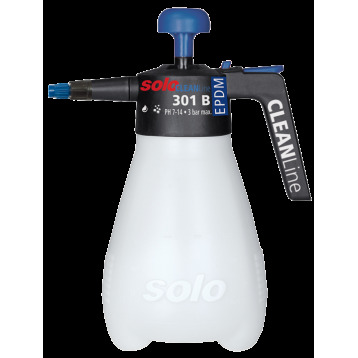 The CLEANLine Manual Sprayer 301-B is equipped with EPDM seals for the use of alkaline (basic) solutions within the pH-scale of 7-14. Alcohols and bases do not cause any problems with that type of material. It offers a capacity of 1.25 l and a max. spray pressure of 3 bar. 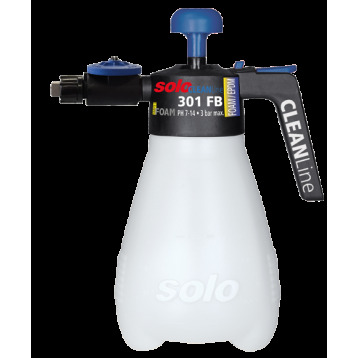 The handheld CLEANLine foam sprayer 301-FA is equipped with the new patented foam adjustment device varioFOAM: This clever innovation removes the danger of potential contact with the spray medium during nozzle interchanges. 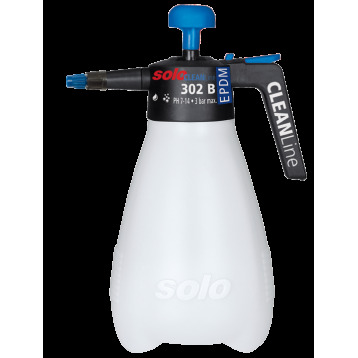 The CLEANLine Manual Sprayer 302-A is equipped with FKM seals for the use of acidic cleaning fluids within the pH-scale of 1-7 and also suitable for spray solutions containing oil or chlorinated hydrocarbons. It offers a capacity of 2 l and a max. spray pressure of 3 bar. The CLEANLine Manual Sprayer 302-B is equipped with EPDM seals for the use of alkaline (basic) solutions within the pH-scale of 7-14. Alcohols and bases do not cause any problems with that type of material. 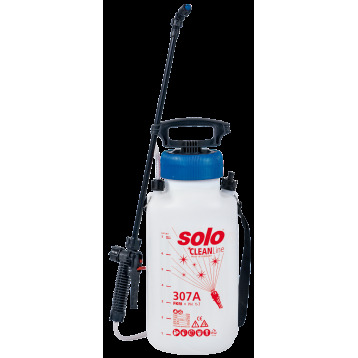 It offers a capacity of 2 l and a max. spray pressure of 3 bar. 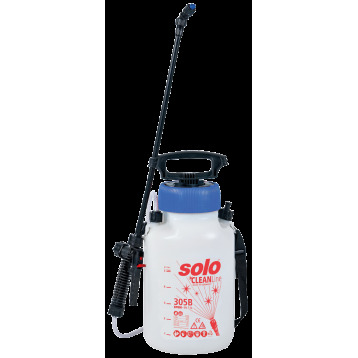 The CLEANLine Pressure Sprayer with shoulder strap 305-A is equipped with FKM seals for the use of acidic cleaning fluids within the pH-scale of 1-7 and also suitable for spray solutions containing oil or chlorinated hydrocarbons. It offers a capacity of 5 l and a max. spray pressure of 3 bar. The CLEANLine Pressure Sprayer with shoulder strap 305-B is equipped with EPDM seals for the use of alkaline (basic) solutions within the pH-scale of 7-14. Alcohols and bases do not cause any problems with that type of material. It offers a capacity of 5 l and a max. spray pressure of 3 bar. 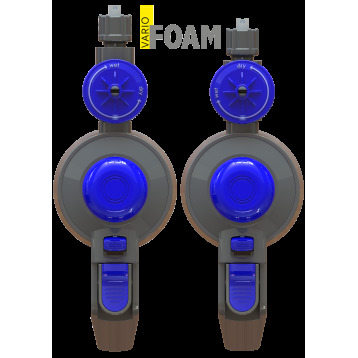 The CLEANLine Pressure Sprayer with shoulder strap 307-A is equipped with FKM seals for the use of acidic cleaning fluids within the pH-scale of 1-7 and also suitable for spray solutions containing oil or chlorinated hydrocarbons. It offers a capacity of 7 l and a max. spray pressure of 3 bar.